Friends of Balboa Park, a nonprofit that preserves the legacy and beauty of the park, is stewarding a number of exclusive opportunities for the community to become a part of enhancing Balboa Park. 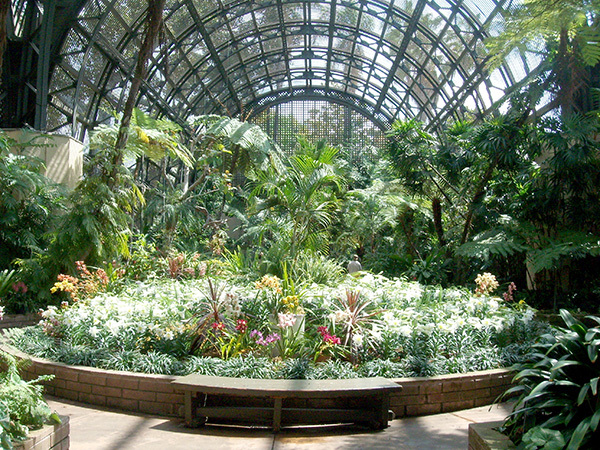 Friends’ partner with the city of San Diego’s Park and Recreation Department to facilitate seasonal floral displays in the Botanical Building to add festive and colorful enjoyment for visitors. In the spring, the community is invited to dedicate an Easter lily for this annual display for just $25 each. Dedications must be received by March 16. Donors will be recognized on the dedication panel in the Botanical Building. Since 2008, Friends has partnered with Park and Recreation to plant new trees in Balboa Park, encouraging the public to be part of the beautification and greening initiative — repopulate with trees. 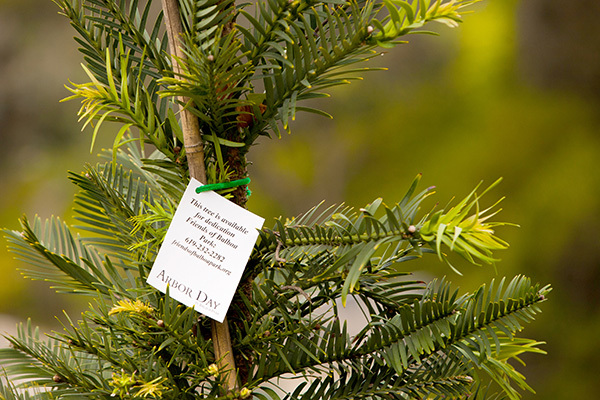 Trees are planted once a year on National Arbor Day, which this year is April 27. Donors can select from seven tree varietals in a designated grove within the park. Although there is no plaque at the dedication site (per city policy), donors or honorees will receive a certificate, tree specimen summary, and a map of the tree dedication site. There are limited quantities available, and they sold out last year, so act fast if you want a piece of the park. Friends recently purchased the historic Balboa Park Carousel and launched a three-year, $3 million fundraising capital campaign to restore and complete the purchase of the carousel. This campaign surpassed the first $1 million, thanks to the community’s generosity. We still have a way to go to reach our next milestone and need your support. Please consider a donation today and help preserve one of the park’s most shining jewels. For more information on tree or lily dedications or to support the Balboa Park Carousel, call 619-232-2282 or visit our website. Friends of Balboa Park is an affinity group that enhances and maintains the park through donations and park programs. The group has spearheaded major capital improvement initiatives throughout the park, including information kiosks, restoration of the historic gate houses and lily pond, Adopt-A-Plot, dedicated bench program, tree dedications, and other programs that facilitate the community’s direct involvement in the enhancement of Balboa Park. — John Bolthouse is the executive director of nonprofit Friends of Balboa Park. For more information, visit FriendsOfBalboaPark.org.